The Historic Real Estate Directory provides you with an ideal platform for the historic homes, buildings and other historic structures you currently have or will soon have listed for sale. 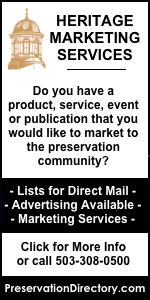 Please note, you DO NOT have to be a real estate agent and/or REALTOR® to list your historic property on PreservationDirectory.com or our partner site HistoricForSale.com (we accept listings from both homeowners and real estate agents). To list your home, click here or use the link at the bottom of this page. You will have the option of also listing your property on our partner website, HistoricForSale.com, which works closely with PreservationDirectory.com's historic real estate directory to maximize exposure for these wonderful historic homes. Your PreservationDirectory.com login and password for our secure members area will work on HistoricForSale.com - making editing, monitoring, renewing and/or featuring your listing a breeze across both websites! You will be prompted on the secure submit form - simply check the box when prompted and your listing will be added to HistoricForSale.com's historic real estate for sale directory. 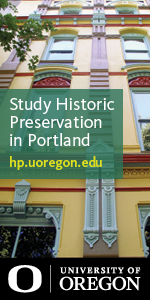 Every Featured Property will be posted to the PreservationDirectory.com Facebook page (currently over 3,400 members). The Featured Property of the Week is posted every Wednesday - your Featured Property will be posted on the Wednesday of the week you choose to feature the listing. To view our Facebook page, click here. AUDIENCE - We receive approximately 4,500 unique users each day from your target audience - architects, historical society members, building restoration professionals, National Trust members, historic homeowners, downtown and mainstreet revitalization professionals, and others interested and involved with historic and cultural resource preservation. 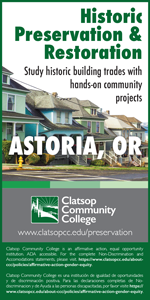 HUNDREDS OF SITES LINK TO PRESERVATIONDIRECTORY.com - Over 500 historic preservation, cultural resource management and building restoration websites currently link to PreservationDirectory.com, making our site (and your listing) easy to find on the internet. The amount of sites that link to a website also increase its ranking on Google Search (that is why PreservationDirectory.com is at the top of the search engines for a variety of terms). 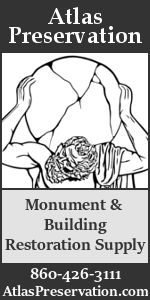 To view a PDF of the sites currently linking to PreservationDirectory.com, click here. We have been overwhelmed with positive feedback from those who have listed on our site. Over the years, many real estate agents have listed over and over again - all due to their positive experiences listing on PreservationDirectory.com. To read testimonials, click here.